Dr Bonkers presents the Dr Bonkers Guitar Cab-Oddities™ Volume 4: POLY 1X12 Guitar Cabinet IR Collection based upon a 1980’s Polytone® Mini Brute II™ 1 X 12 Guitar or Bass Amp Cabinet. 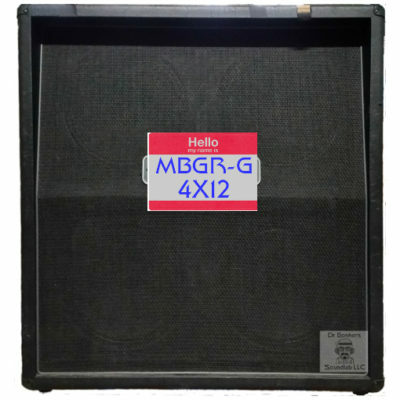 This cabinet included the original Polytone® Proprietary 12 inch Speaker for Guitar and Bass. 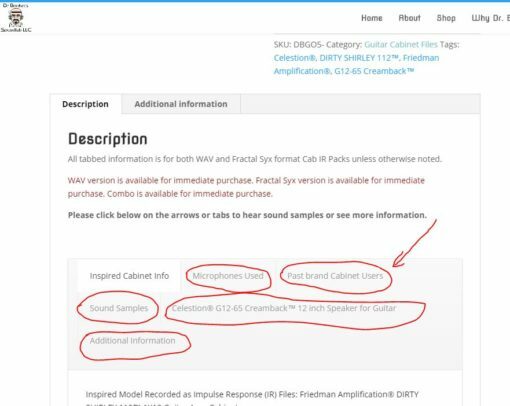 Solo guitar recorded by Jorge Goncalves using Amplifire® and this WAV impulse response file cab collection. See SoundCloud description for more details. Use of Polytone® & Mini Brute II™ are owned by their respective corporate entities and mentioned on this site under the terms of fair use. 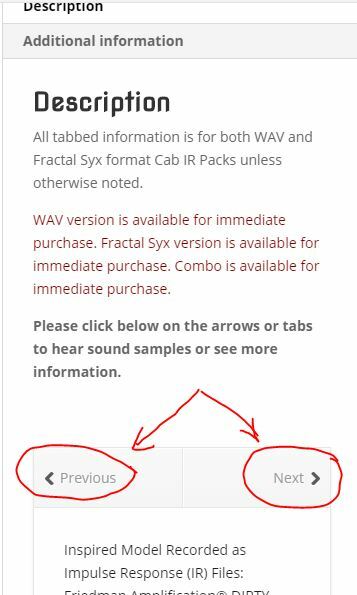 Use of Fractal Audio Systems®, AX-8™, Axe-FXII™, Cab Lab3™, and Ultra-Res™ are owned by Fractal Audio Systems® and mentioned on this site under the terms of fair use. Any band names or artists mentioned in a purely historical & educational context are owned by their respective corporate entities and mentioned on this site under the terms of fair use. All such mentions do not connote any endorsement, approval, or use of Dr Bonkers Soundlab LLC® products. The trade name of HypeReal™ in the context of Cabinet Impulse Response Packs as well as the actual files for sale on this website are the intellectual property of Dr Bonkers Soundlab LLC® and may only be used under the terms of the EULA. 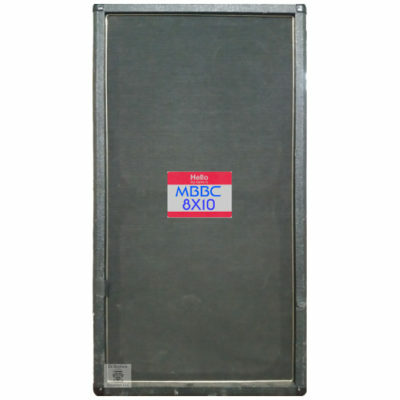 The small closed back cabinet is lightweight, deadened with what looks to be fiberglass insulation, but the combo sounds pretty stark and revealing- dark at lower volumes and with a bit of a bite at louder volumes. 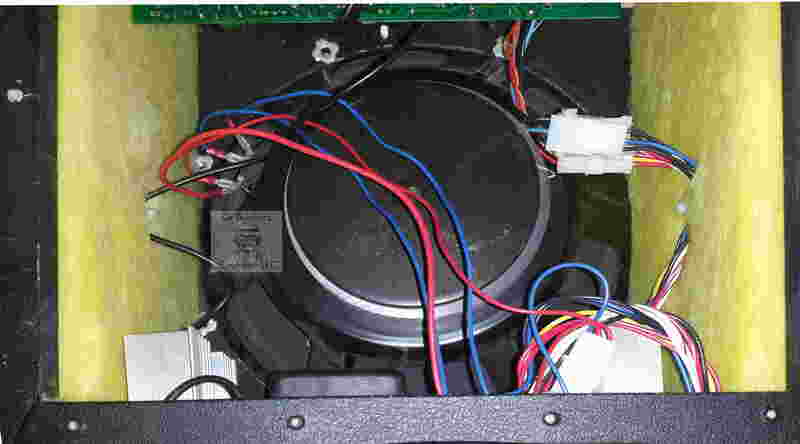 The speaker design is way over-engineered for strictly guitar use, as it doesn’t bottom out or fart like most guitar speakers when you try to play bass guitar through them at gig volume. 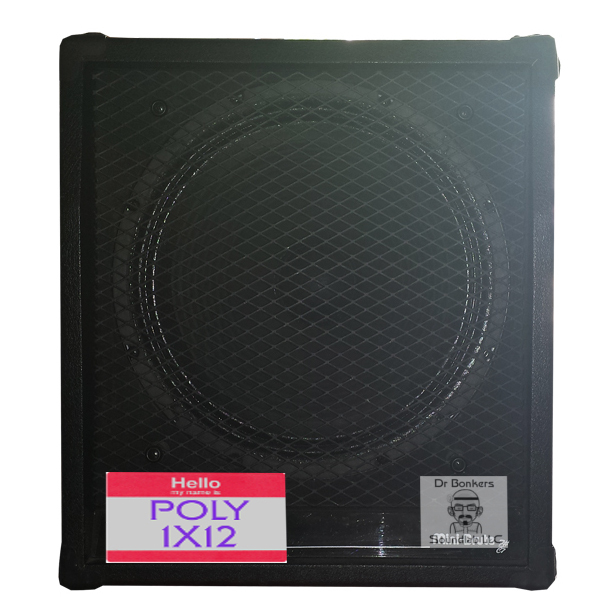 But the Polytone® also doesn’t sound like a blanket is over the speaker when playing guitar through it, unlike some prominent bass speakers sound when playing guitar through them. 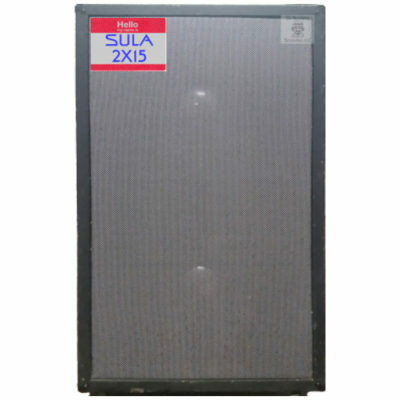 Impulse responses made with this cab can really sound great with many different types of digital amp models using clean or light gain, even bass amp models. 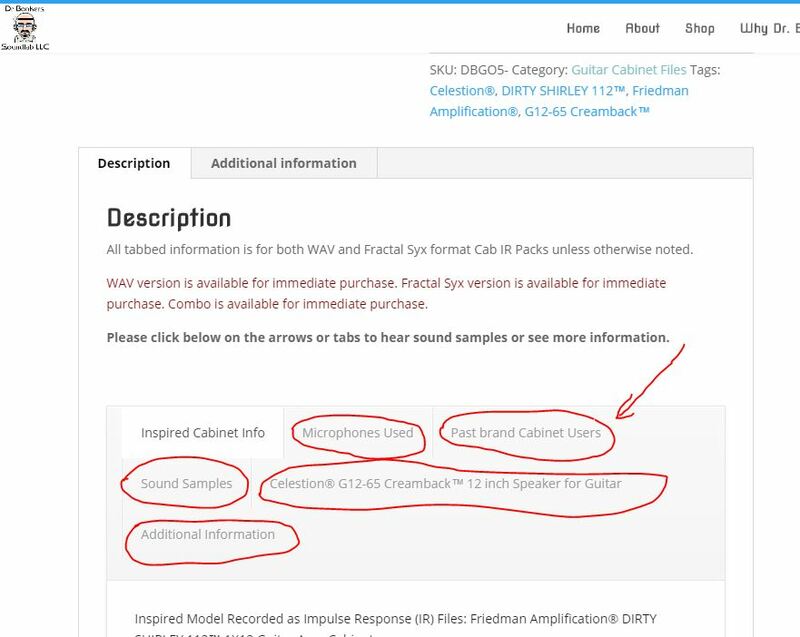 If you try to play black metal or djent with these impulse response (IR) files, you will probably be very disappointed in them just as you would be with the real cabinet.